Tropical Storm Gordon formed as of 7am CT this morning as expected. Rain bands and gusty winds from Tropical Storm Gordon swept across South Florida on Monday morning and the biggest impact appeared to be power outages. Miami Beach Police said via Twitter that the Labor Day holiday was "NOT a beach day" because of rough surf and potential rip currents. A storm surge watch also is in effect for a portion of the Mississippi-Alabama border, as the storm system is forecast to enter the Gulf of Mexico Tuesday and make landfall just east of New Orleans on Wednesday - still as a tropical storm. Trees sway as Storm Gordon descends on Fort Lauderdale, Florida, U.S., September 3, 2018 in this still image taken from a video obtained from social media. Maximum sustained winds were clocked at 60 miles per hour (96 kph). Tropical Storm Warnings are now in place for portions of South Florida including Miami-Dade and the Keys since tropical storm conditions are now occurring in these areas. Gordon was expected to strengthen in the Gulf. It will likely strengthen a bit, but still stay a tropical storm. "With the peak of hurricane season upon us, now is the time to get prepared". Meanwhile, rainfall totals up to 150 mm are possible for southern Alabama, southern MS and Louisiana. 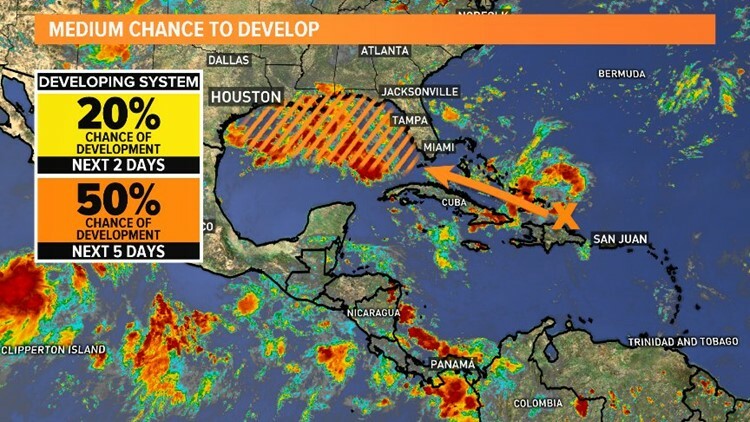 The Miami-based center said in a statement Sunday evening that a storm surge watch has been issued from the Mississippi-Alabama border westward to the Mouth of the Mississippi River. The storm could come ashore in southeastern Louisiana late Tuesday or early Wednesday. Officials extended the storm surge warning eastward to Dauphin Island, Ala. In addition to flash flooding, the weather service says tornadoes are possible through Monday night across the southern and west-central Florida peninsula. "The combination of a unsafe storm surge and the tide will cause normally dry areas near the coast to be flooded by rising waters moving inland from the shoreline", the National Hurricane Center said in a statement. The storm was moving west-northwest at 18 miles per hour (30 kph).